Two new phones, namely GALAXY Fame and GALAXY Young announced by Samsung Electronics with Android 4.1 (Jelly Bean) OS on board. 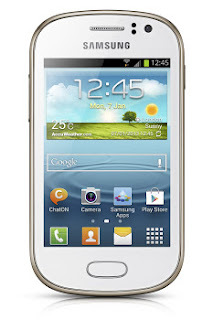 The GALAXY Fame and GALAXY Young will be available in two versions i.e. Single and Dual SIM, depending on the market. 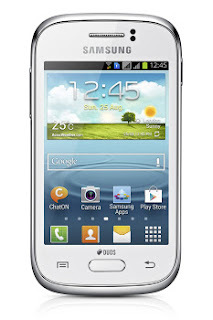 ﻿GALAXY Young is a smart and affordable phone for the younger generation of mobile users. The phone features 3.27" HVGA TFT screen, Android 4.1 (Jelly Bean) OS, 1.0 GHz processor, 768MB RAM, 1300 mAh battery, 3-megapixel camera and Wi-Fi connectivity with Wi-Fi Direct feature. GALAXY Fame combines powerful performance with an essential suite of features and services with NFC(optional) connectivity, 3.5" HVGA TFT screen, Android 4.1 (Jelly Bean) OS, 1.0 GHz processor, 512MB RAM, 1300 mAh battery, 5-megapixel auto focus camera with LED flash & VGA front camera, Wi-Fi connectivity with Wi-Fi Direct feature.